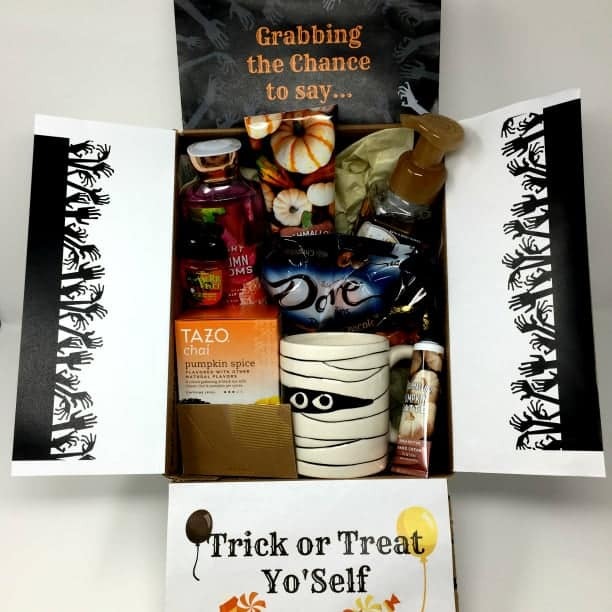 Grab the chance to send your college student a Treat Yo Self Halloween Care Package. 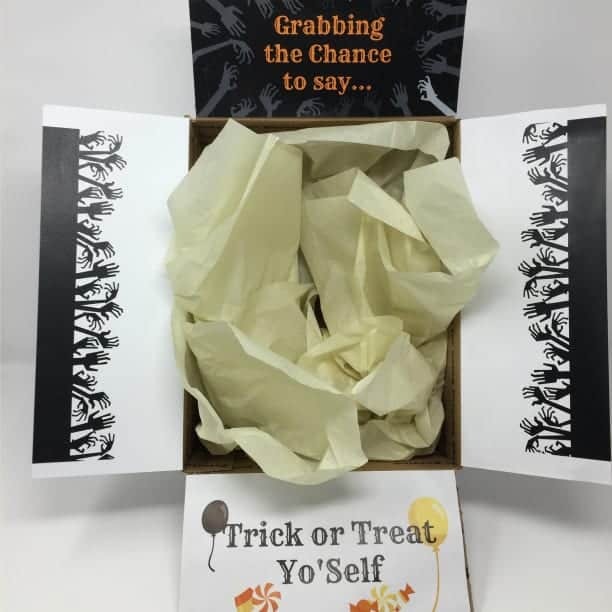 The Free Printable Halloween Care Package Message: Treat Yo Self and the other box decorations are available to print in the Subscriber's Library. You can access the Subscriber's Library by subscribing below. This post may contain affiliate links, meaning if you click on a link and make a purchase, I may receive a small commission at no additional cost to you. For more information, please see the disclosure in the footbar. 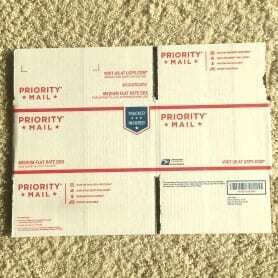 I start all of my care packages with a Medium Flat Rate Priority Mail box. 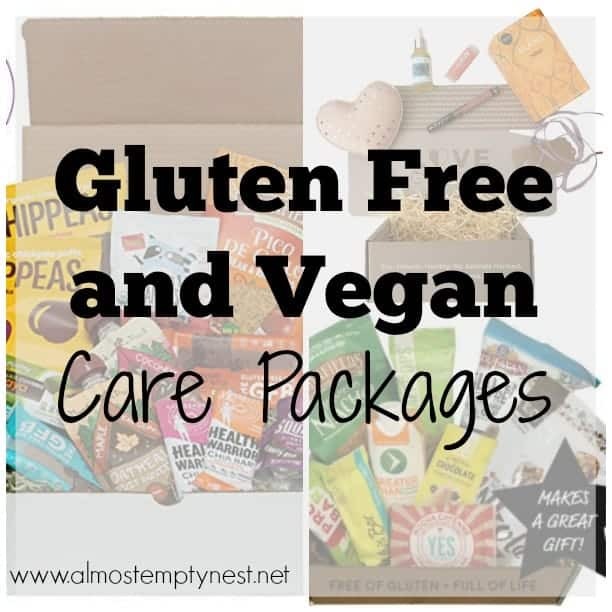 The boxes are available for free at your post office. They ship for $13.60 regardless of the weight of the package. 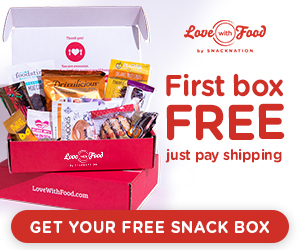 The Printables are created to fit these boxes. 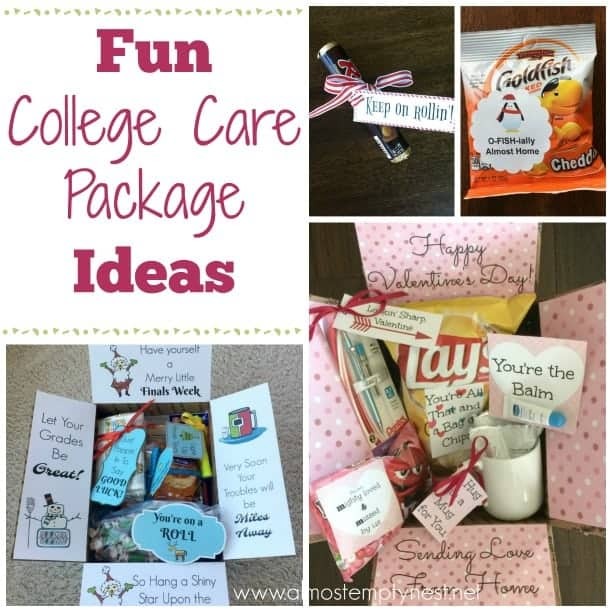 All of the care packages I have made before were for my sons, so they have not been girly. I decided I wanted to buy things for my daughter, a senior in high school, this time. 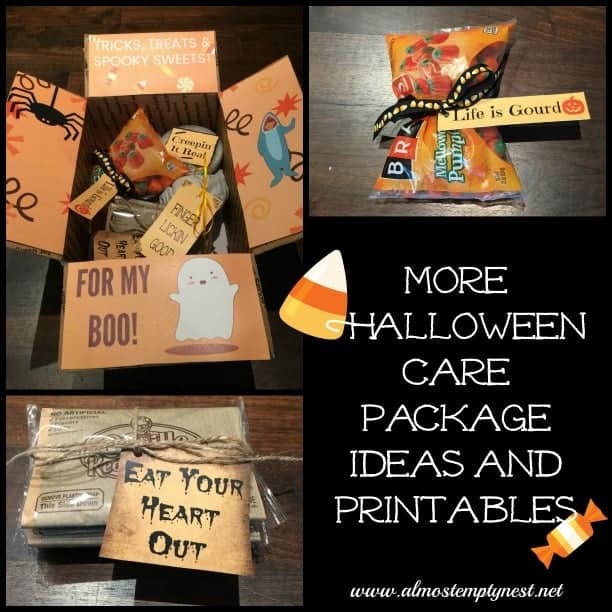 The halloween package printables will work for anybody – just adapt the items inside for the recipient. I found the mummy mug at my grocery store. I added some Tazo Chai pumpkin spice tea and a Starbucks gift card, so she can grab a Pumpkin Spice Latte. And of course, a girl has to have some chocolate. Dove has some adorable orange pumpkin foil wraps for the season. Boys could also use shower gel and hand soap or other grooming products. 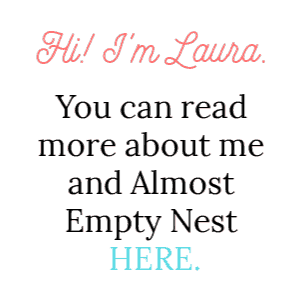 They would also appreciate a fun mug and a Starbucks card. Other ideas are seasonal socks, snacks, paper products, and holiday decor. Halloween coincides with midterms and the arrival of colder weather. It is a great time for a treat from Mom to encourage them that they can make it to Thanksgiving break. 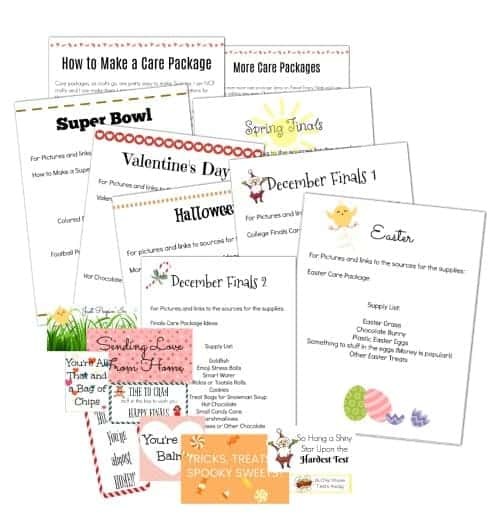 Whether you send food, Halloween decor, grooming items, school supplies, or gift cards, kids always appreciate a fun package from home!